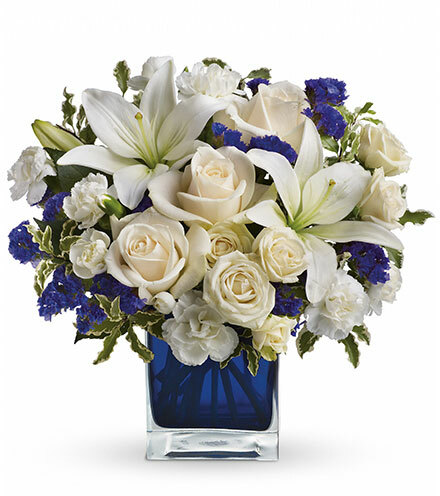 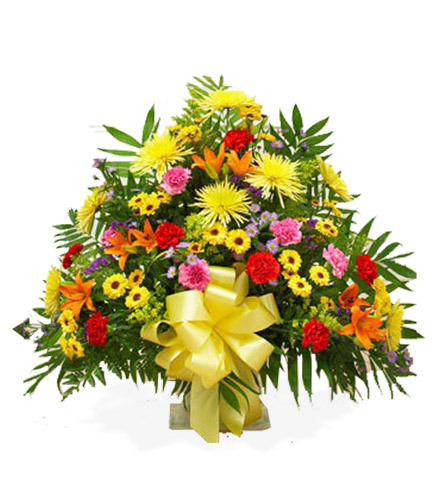 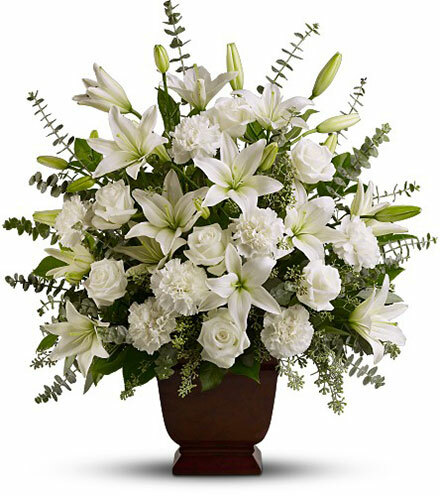 Support loved ones during a time of loss by sending multi-colored arrangement filled with bright and cheerful flowers. 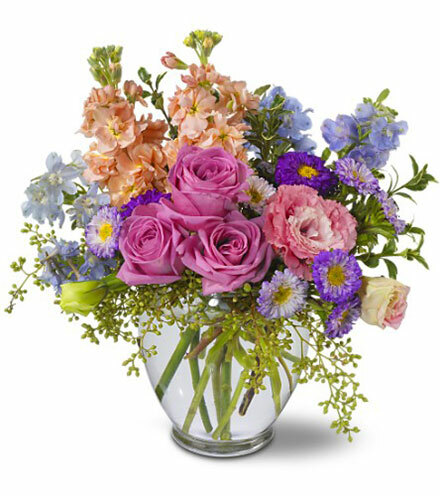 Our florists hand-pick only the freshest blossoms and will carefully arrange them in a white mache vase, bringing together stems of fragrant roses, mums, lilies, pompons, carnations, and statice. 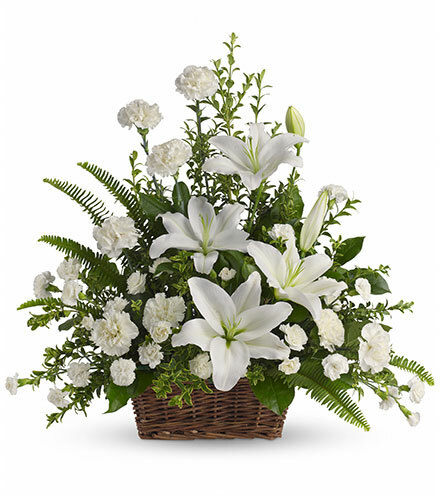 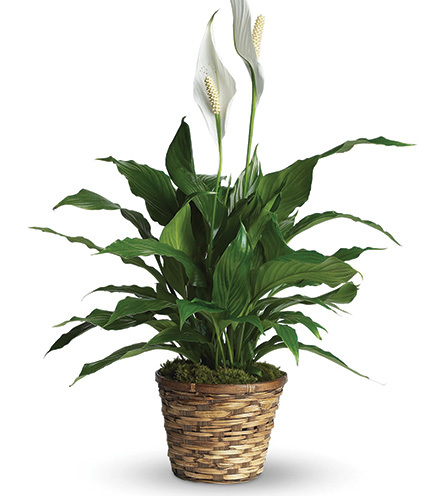 This multi-bloom floor basket is diverse and perfect for an expression of support and love. 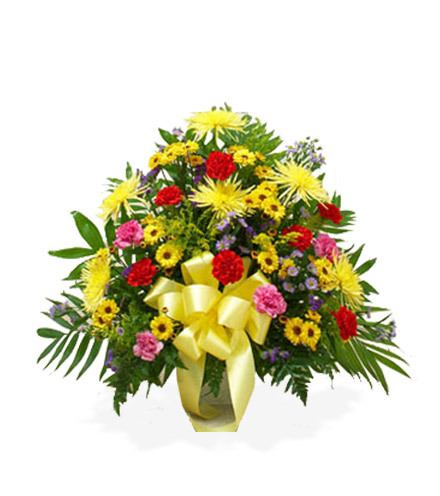 You'll find slight variation in the selection of this bouquet based on seasonality and location.